Kevin Sido has been a trial lawyer and transactional counsel for design/construction professionals, condominium directors and officers, lawyers, real estate professionals and school officials for over four decades. His practice has also included insurance coverage analysis and policy drafting as well as broad aspects of a civil trial practice. Mr. Sido applies his extensive experience as a trial lawyer to the counseling and transactional needs of his clients. In addition, Mr. Sido has a significant background in alternative dispute resolution. He is a mediator and former arbitrator for the Circuit Court of Cook County, Illinois. He has served many years on the Panel of Construction Arbitrators of the American Arbitration Association. He serves on the panel of neutrals of ADR Systems of America, LLC. Mr. Sido has authored amicus curiae briefs on behalf of architect and engineer organizations including AIA Illinois, SEAOI, ISPE, ACEC Illinois and IPLSA in appeals concerning the economic loss doctrine, qualifications based selection laws, construction statutes and other matters. These include Thompson v. Gordon, 241 Ill. 2d 428, 948 N.E.2d 39 (2011) (an engineer's scope of duty is a question of law as set by contract, not a factual question for an opposing expert to opine); Christopher B. Burke Engineering Ltd. v. Heritage Bank, Ill. Sup. Ct. 2015 IL 118955 ( a plat of subdivision qualifies as an "improvement" under Mechanic's Lien Act even if subdivision is never completed). 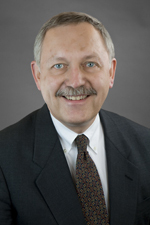 Mr. Sido joined Hinshaw & Culbertson LLP in May 1975. He served 12 years on the firm's Executive Committee, and also headed the litigation section for more than 20 years in the Chicago office. Following his successful completion of the Arbitration Fundamentals and Best Practices for New AAA Arbitrators training program in Los Angeles in 2018, Mr. Sido became an active member of the American Arbitration Association (AAA) Panel. Mr. Sido holds affiliate memberships with the American Institute of Architects-Illinois Council. He was a recipient of their President's Honor Award in March 2005. Mr. Sido is also an associate member of the American Society of Civil Engineers and the Structural Engineers Association of Illinois. In the Fall of 2005, Mr. Sido completed intensive training in mediation from the faculty of Pepperdine University School of Law’s top-ranked Straus Institute for Dispute Resolution, and is a Certified Mediator in the Cook County Court-Annexed Major Case Civil Mediation Program. In 2009 he became a member of the Mediator Panel of the U.S. District Court, Northern District of Indiana. Mr. Sido is the editor of "Architect and Engineer Liability, Claims Against Design Professionals," third edition, published by Aspen in 2006. He regularly writes for the Illinois Institute for Continuing Legal Education (IICLE), including authorship of chapters with revisions and supplements on pleading, contribution and indemnity, and condominium litigation.